“Never say never” is the new catch phrase going around in Leigh Haussen’s world! 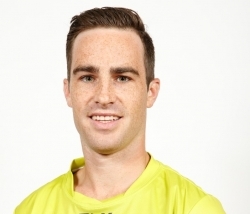 Having been delisted as a Rookie Umpire at the end of season 2016, Leigh now finds himself, following Jordan Bannister’s retirement, promoted to the AFL Field Umpires’ list for season 2017. Leigh’s journey to the AFL started back in 2001 in both the Sturt SASFA and the Metro South Junior Football League. He progressed through to the Independent School Sports Association competition before umpiring his first SANFL game (Under 17s) in July 2006. Leigh’s first League game was in round one in 2010 between South Adelaide and Sturt and was made even more memorable because it finished in a draw. Leigh has umpired 165 SANFL games including 20 finals which includes 6 SANFL grand finals in 2010, 2011, 2012, 2013, 2015 and 2016. He has been awarded the SANFL Golden Whistle on two occasions in 2012 and 2016 and has umpired two State games between South Australia and Western Australia in 2012 and South Australia and Victoria in 2016. Leigh’s career highlight was to umpire the 2015 SANFL Grand Final with two great mates – Craig Fleer and Toby Medlin, two great mates who have come through the ranks together. Leigh’s approach to umpiring is very relaxed and he is motivated by getting the best out of himself and for his family. 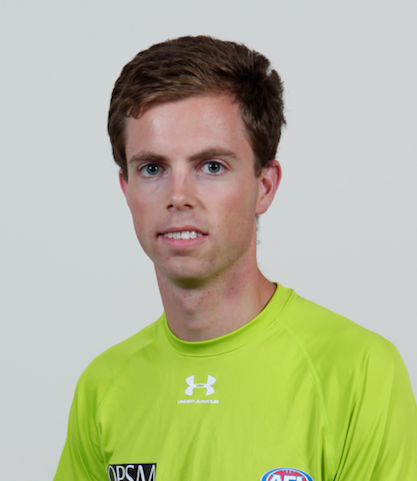 He admits that he looks up to a number of AFL umpires as each bring different qualities that make them great umpires. He admires and models himself on Scott Jeffery, who he believes, goes about everything with minimal fuss and does what the team needs. 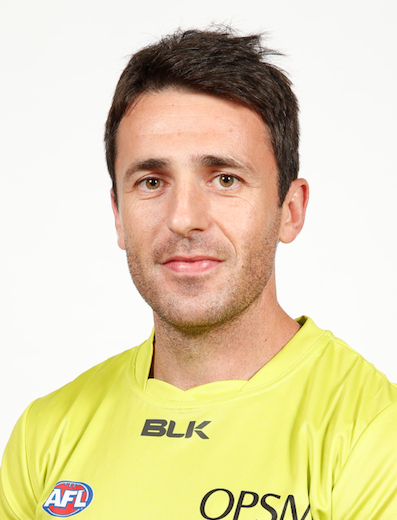 With his pending move to Melbourne, Leigh will leave his current job with the SANFL Umpiring Department, a job he has held and thoroughly enjoyed for two years. Leigh would like to continue working in the sporting industry. Leigh’s hobbies can best be summarised by ‘Generally anything to do with sports’ with particular interests in cricket, athletics, horse racing and any of the Boston / New England sports teams. We will soon welcome Leigh to Melbourne and wish him all the best on his resettlement and for the season ahead.